[AG-TECH] multicast config (Nortel) ? Previous message: [AG-TECH] Mixing it up. Next message: [AG-TECH] multicast config (Nortel) ? We have a Nortel Passport 8600  (8603 ?) router and BayStack 450 switches. 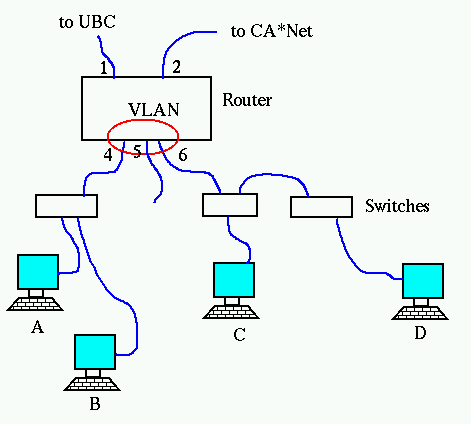 We are connected to CA*net and hence Internet2 via BCnet. have been playing with settings trying to get it to work. A will see B immediately, and there may be a delay for A to see C or D.
a big enough TTL; I think I had set the threshold in the Passport to 15. PIM, IGMP, DVMRP etc. so I am getting a bit confused. means one works and one doesn't (I can't see any config differences). And of course I would like to be able to send offsite. free & online - though a good book would work too ?